04.17.2019 Written by: Henningson & Snoxell, Ltd. I did not plan to be a family law attorney. Now, after 38 years of focusing my practice in family law, I am not sure I could have done anything else. I started my legal career at a small firm in Anoka. No one at the time wanted to do family law. Being the newest attorney, I was given all the divorce work. As family law attorneys, we work with clients who may be at the lowest point in their life. Our clients can be afraid, angry, stressed, concerned, frustrated, overwhelmed, vengeful, happy and relieved; and, their outlook may change daily. We are impacted and sensitive to the emotional circumstances of our clients and their children. However, most family law attorneys are not therapists, and our job as attorneys is to represent the client. It is the attorney’s responsibility to tell the client what they need to hear, not what they want to hear – it is to counsel, share the law and use our experience. It is critical to listen and hear the client. Listening means giving the client the time to tell their story, ask and answer questions and share the details. Hearing what your client has to say is even more important and, takes practice and patience. What do you say to a client that has just opened their heart and soul to you, shared their concerns and fears, and now needs a family law attorney? You say: “I hear you and with 38 years of experience I can help you.” The most important case I have is the file I am working on at that moment, and the client should know it. The client has a significant role in the attorney-client relationship. For the attorney to be effective and efficient, the client must timely share the information and documents we need. I insist that my clients are honest, respectful and behave. I understand the client is the boss; however, the clients MUST listen to the attorney, and not the other party or, worse yet, partially informed friends and family. Do not involve your kids. Sometimes our representation involves protecting children. These cases are difficult and important. However, if the case is really about the parents, including children in the process or making them the issue is unfortunate. Fighting over kids for a relatively short period of time before they become of legal age, can have a dramatic impact on them and can affect your relationship for the rest your lives. This applies to adult children as well. Adult children should not be your friend when getting divorced. Be an advocate for your client. This means zealously representing them. It means being prepared and having your client prepared. It means, if possible, seeking an appropriate, timely and efficient resolution. It means not getting in the way of the parties coming to an agreement. It means, if necessary going to trial. I have said to my clients a million times “Nobody on this earth is going to take care of you like you can take care of yourself.” The best way to get a good result and timely end to your divorce or family court proceeding, is to pay attention, cooperate and be reasonable. At Henningson & Snoxell, Ltd., we have experienced and compassionate family law attorneys. 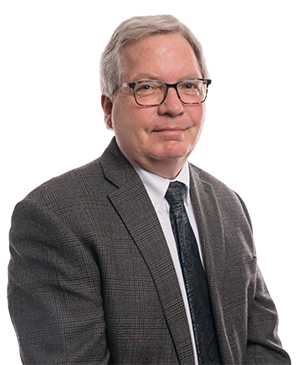 Jeff Berg is a Shareholder, the Chair of the firm’s Family Law Department, has repeatedly been selected as a Super Lawyer® and is AV® rated. 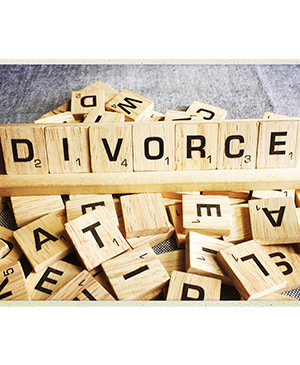 If you have questions about divorce or any other family matter, please contact our office to set up a consultation. What are the Requirements to get a Divorce in Minnesota? 04.10.2019 Written by: Henningson & Snoxell, Ltd. In Minnesota there are few requirements to file for divorce. Minnesota is called a “no-fault” divorce state. A No-fault divorce means there is no need to prove either party is at fault for the marriage ending. No-fault also means if one spouse files for divorce, the other spouse cannot contest the divorce. All you need is one person to tell the court that there has been an irretrievable breakdown of the marriage relationship. Simply put, this means that one, or both, of the spouses does not want to live with the other as a married couple. No-fault also means that the reason for the break-up of the marriage cannot be considered by the court in deciding spousal maintenance, property division or custody, unless a child’s wellbeing is affected. Minnesota has no waiting period or required pre-divorce marriage counseling, as in some other states. One of the spouses must be a legal resident (having lived in Minnesota for the last 180 days) prior to service of the divorce paperwork. Members of the Unites States Armed Forces qualify as residents if they have kept their Minnesota residence. At Henningson & Snoxell, Ltd. we have experienced, compassionate family law attorneys that can guide you through the divorce process. If you have questions about filing for divorce, or any other family law related matter, please contact our office to set up a consultation.